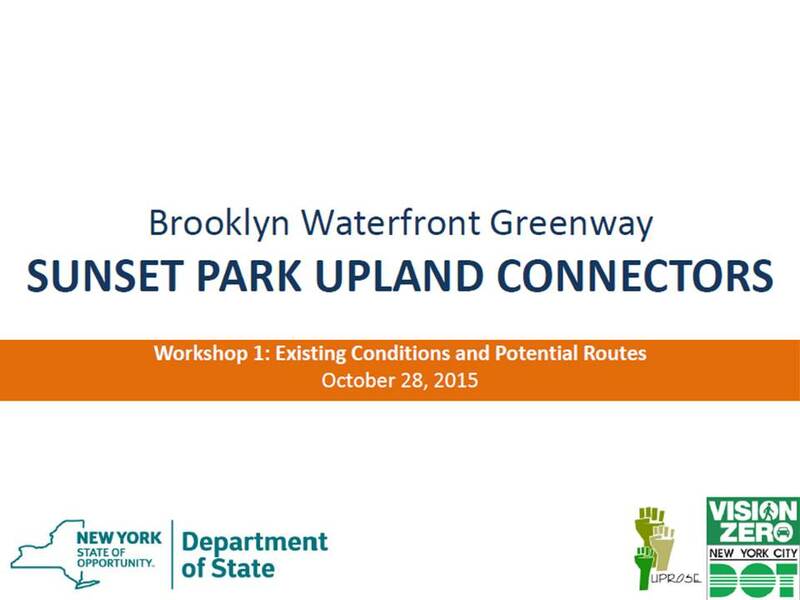 On Wednesday, October 28th, NYC DOT along with our community engagement partner UPROSE, held the first community workshop for the Uplands Connectors Project in Sunset Park. This project seeks to develop a plan with the community to establish safe and inviting pedestrian and bicycling routes connecting the upland community to waterfront destinations. The first workshop, in a series of three, sought to establish the existing conditions and potential routes in the community that would provide increased safety for all street users, could be used for transportation and recreation, connect and provide green space, and work with neighborhood needs and industrial uses.